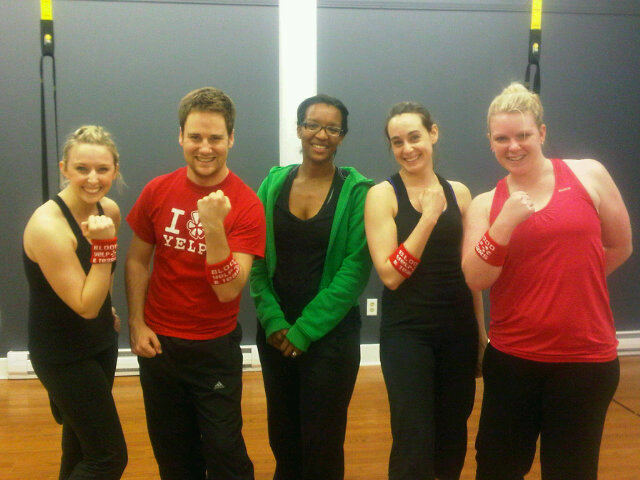 On Tuesday night I had the pleasure of going to Core Essentials in Dartmouth to take part in a fitness event put on by Yelp! Given the horrific weather we’ve been having I’ve been having a bit of trouble getting motivated to hit the gym and eat healthy. I want to go home get into my sweats and hibernate and stuff my face with Skittles. But despite this weather bomb I was excited to get to Core Essentials and try something new. The second I walked through the door I knew this wouldn’t be your typical workout experience. Core Essentials is on Queen Street in Dartmouth in what looks like a classic old home. The atmosphere is inviting and dispels any misconceptions that all gym are full of cutoff shirt wearing juice monkeys. We started off using the RealRyder bikes. RealRyder bikes are not your average stationary bike. These bikes actually move from side to side to simulate a road bike. Accept that before you take your first RealRyder class that you’re going to feel like a fool but it’s well worth it. Not only are RealRyders an awesome way to enjoy an indoor spin class – but the view is top notch. Who wouldn’t love a spin class overlooking the water? Next up came kettlebells. 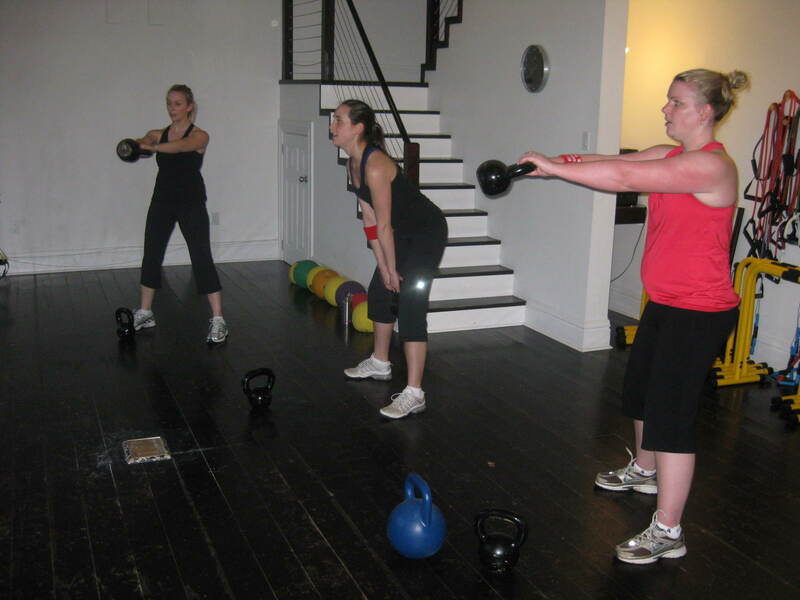 I have been wanting to take a kettlebell class for a long time but had never taken the plunge. Until you’ve actually used a kettlebell it’s hard to explain just how incredible the workout is. Just a few minutes into the workout you’re feeling the burn and realizing just why people get ripped from doing this. Lastly came the TRX. This is my new favourite thing ever. I might even love TRX as much as I love the idea of the sun shining which is A LOT. TRX was developed by Navy Seals and is a simple rope system that is meant to be able to be done anywhere. 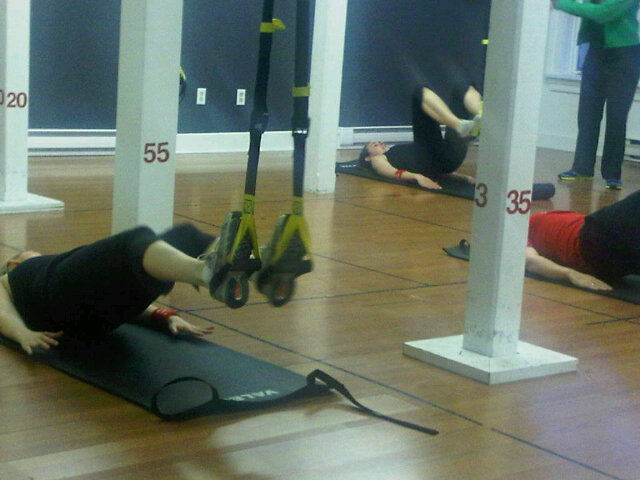 The idea of TRX is that you always have part of your body suspended. Image doing pushups STANDING UP. Push ups are my least favourite thing to do in a work out and I could have done 50 more using TRX. We did arms, legs, abs and stretched on these bad boys. Awesome sauce. An hour and half and a ton of endorphins later I left Core Essentials inspired to step my game up. The atmosphere combined with amazing instructors make you feel like you’re taking part in a workout that will actually help you reach your goals. A huge thank you to the lovely Ben at Yelp! and Laurissa and her fantastic team at Core Essentials for putting this together! I can’t wait to get back!